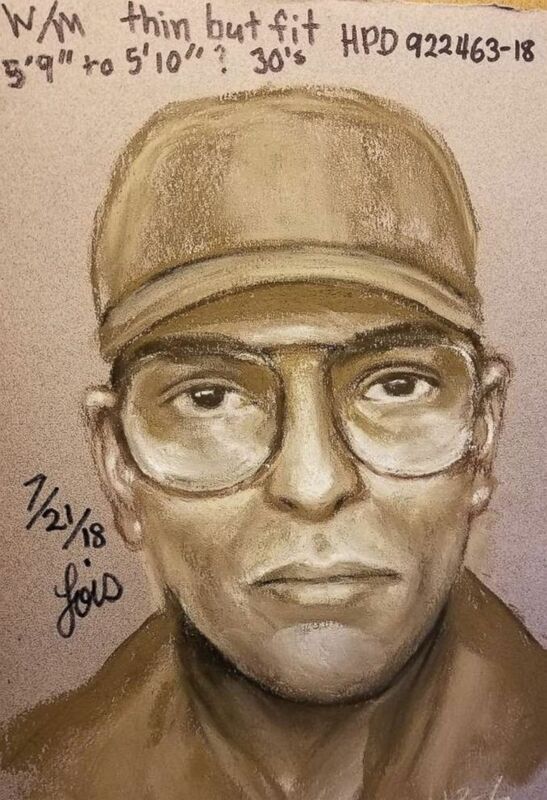 Houston police are searching for the suspect who fatally shot the prominent cardiologist who treated former President George H.W. Bush. Dr. Mark Hausknecht, 65, was riding his bike today when he was shot and killed, according to Houston Methodist Hospital. 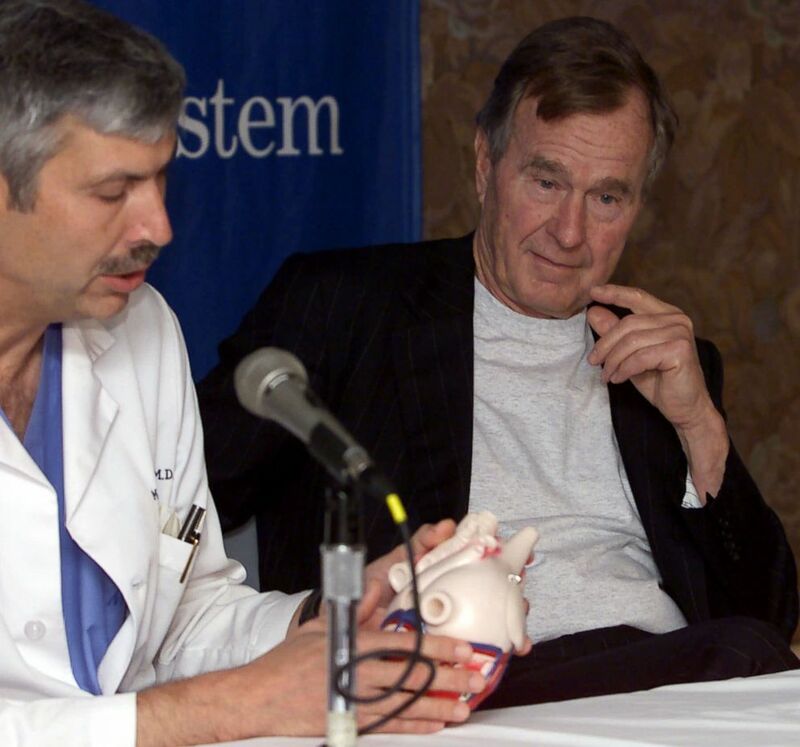 Former President George HW Bush, right, listens to cardiologist Mark Hausknecht talk about Bush's heart condition, during a news conference at Methodist Hospital, Feb. 25, 2000, in Houston. Houston police released a composite sketch of the suspect on Saturday. Houston police released a composite sketch of the suspect in the fatal shooting of prominent Dr. Mark Hausknecht on Friday, July 20, 2018. Hausknecht's wife, Dr. Georgia Hsieh, released a statement critical of guns and said her husband's death was "devastating." "After spending his adult life saving and prolonging the lives of others, my talented husband, Dr. Mark Hausknecht, had his life prematurely ended," she wrote. "'Senseless' has become a trite adjective to describe these tragedies, but what is senseless is the misguided notion that any society with more guns is a safer society. "When students cannot go to school without fear, and teachers need to arm themselves, what has this country come to?" she continued. "As a trained emergency medicine physician, I am no stranger to the devastating consequences of both intentional and accidental firearm use. Now my family and I have joined the ranks of the tens of thousands of other grieving Americans who lose innocent loved ones each year." Dr. Kevin Lisman, who worked with Hausknecht for 15 years, told KTRK the doctor did not have any enemies. "Mark never had an enemy," Lisman told KTRK. "He was very quiet, and very humble. Just the kind of guy who would take care of anybody at the drop of a hat."